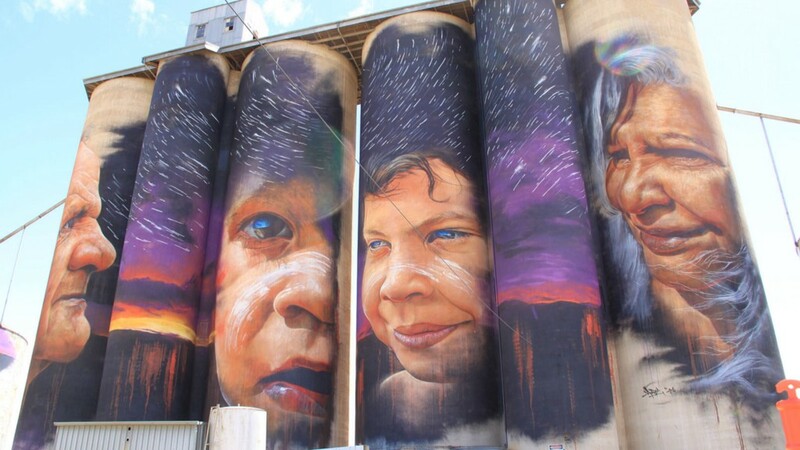 to form the the 200km (125 mile) Silo Art Trail, breathing new life into regional Victoria. The wheat silos of country Australia have always had a comforting presence, a stoic reminder of the country’s wealth and bounty, but in recent times, faced with modern technology and drought, the cultural and physical landscape is changing. 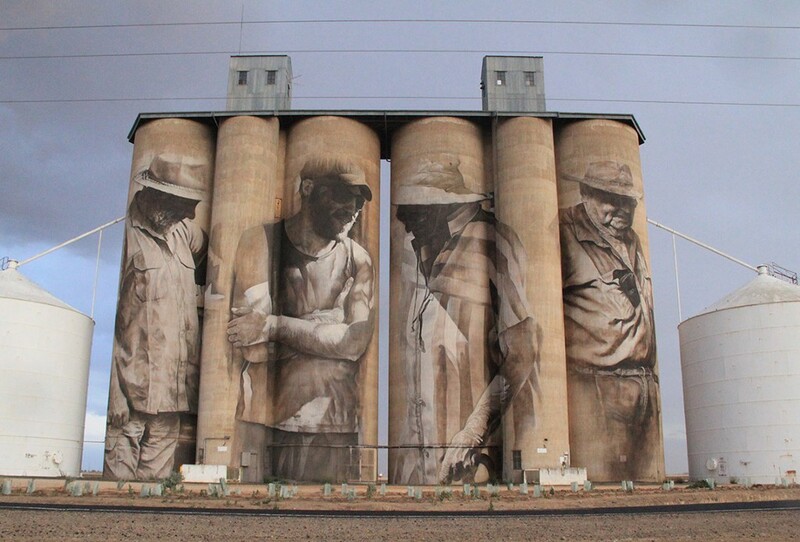 When artist Guido van Helten completed his ‘Farmer Quartet’ piece on the decommissioned silos in the rural Victorian town of Brim, he had no idea what it would spark. The art piece turned the forgotten town into a nationwide sensation overnight, bringing much needed tourism to a place where the population was significantly declining, and businesses were closing up shop. 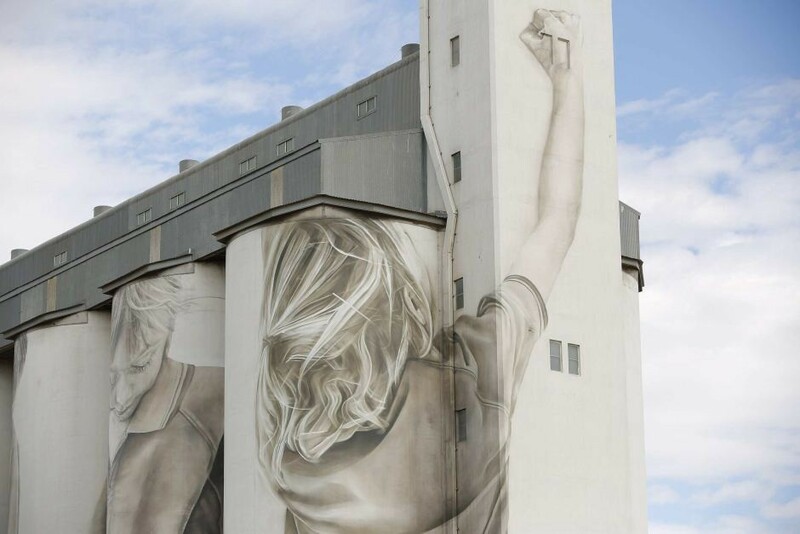 So powerful was the effect of the silo artwork, that it inspired The Silo Art Trail project — a series of towering outdoor art pieces that reflected their local community, and commented on the social issues its people faced. So far, four of the six government-supported murals have been completed, with the two final locations to be finished later this year. While every piece is similarly awe-inspiring in its size and detail, each artwork tells a different story of Australia’s farmers and regional communities. In Rupanyup, a young boy and woman, dressed in the uniforms of their local sport clubs, represent the town’s hope for the future. In Sheep Hills, four indigenous faces, two young and two elderly, speak of the importance of sharing knowledge between generations. The ‘Farmer Quartet’ in Brim shows four individuals that encapsulate the image of the classic Australian farmer. While in Patchewollock, a typical Australian farmer is seen with a dying tree that sprouts new growth, a reminder of the bush life cycle, and that life can return after drought. Australia is dotted with these old wheat silos, crumbling as they outgrow today’s modern farming practices. For farmers who are struggling with a wide range of challenges to their way of life, these silos are a looming physical reminder of the issues they face. Reclaiming them instills a sense of renewed pride for these regional towns, and helps direct tourists to areas that are held dear by these tight-knit communities. While it’s unknown whether the current Silo Art Trail will continue, a second location has shown blossoming beginnings of a second trail. 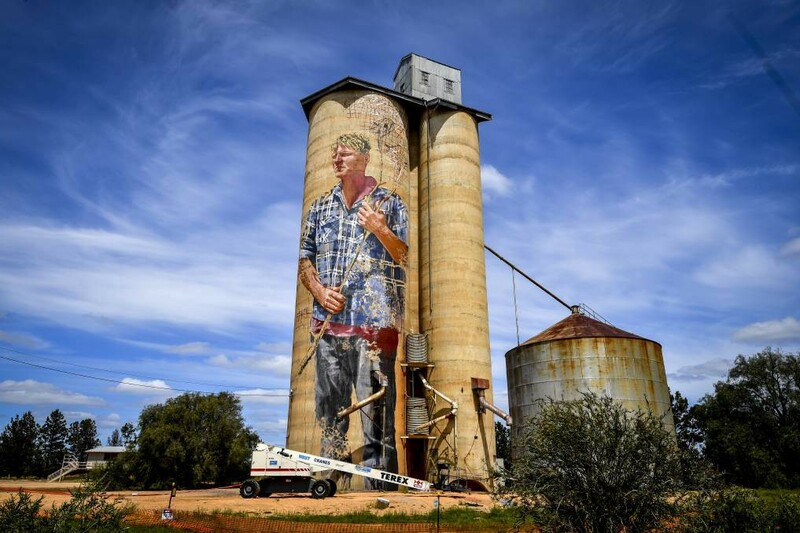 Earlier this year, Guido van Helten, the artist who started it all in Brim, completed his second silo mural in the small South Australian town of Coonalpyn. Whether this is the beginning of a nationwide art movement, only time will tell, but in the meantime, it’s a powerful reminder that there’s more to see out there than the well-trodden trail. For the full route and details of exploring the Victorian Silo Art Trail, click the map above. Create your own trail map today with Alpaca Maps. Keen on seeing more maps of wordly adventures? Follow Alpaca on Medium, Instagram, Facebook and Twitter to keep in the know. 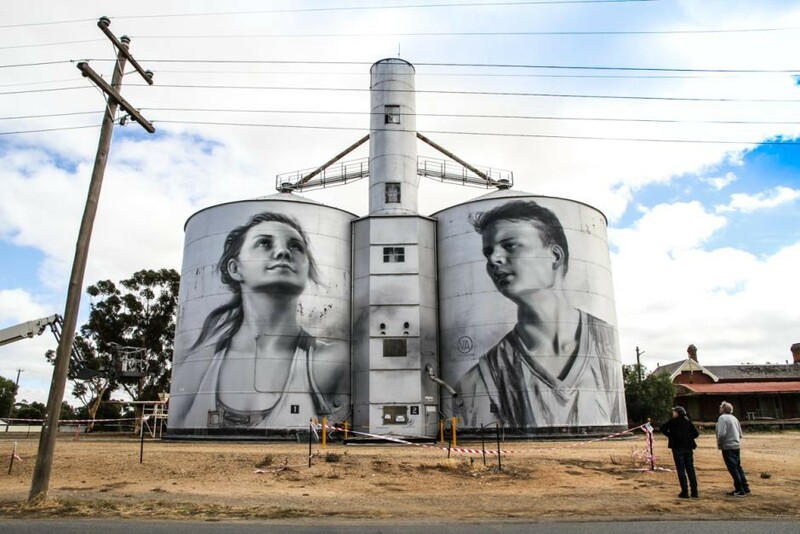 This outdoor gallery in the Australian countryside sees abandoned silos turned into artwork was originally published in alpaca.travel on Medium, where people are continuing the conversation by highlighting and responding to this story.